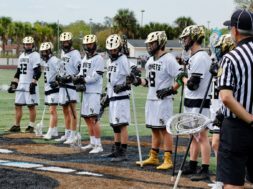 There may have been a break in the schedule, but that hasn’t stopped the current 7-game win streak by the Bishop Moore men’s lacrosse team (9-3, 5-0). With just two games in the last 15 days, the Hornets haven’t suffered a loss in 28 days and counting. They sandwiched the Spring Break schedule with victories over Hagerty High School (17-7) and The First Academy (20-3). Throughout the win streak the Hornets have been playing remarkable team lacrosse, outscoring opponents 121-22. Just five regular season games remain before the district tournament takes place in mid-April. 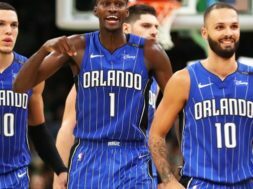 The Hornets are expected to enter with the #1 seed. Eight different goal scorers combined for 17 goals on 28 shots on goal against Hagerty. 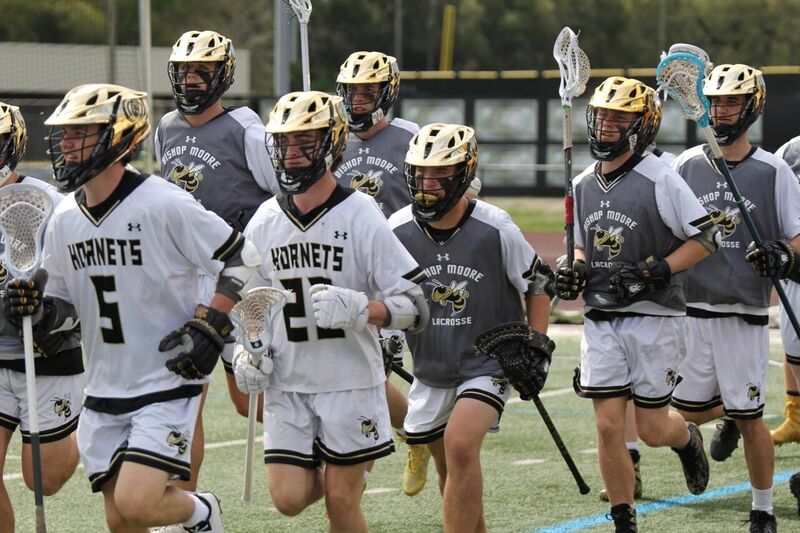 The Hornets were led by none other than All-American attackman, Jake Kiefer (Utah), who had five goals and continued his streak of scoring in each game this season. Junior attackman, RJ Sanfilippo, has been red hot since returning to the lineup. Sanfilippo scored two goals and recorded a season-high five assists. Junior attackman, Brooks Rask, was responsible for three goals and an assist. The junior duo are the only members of the team with at least 10+ goals and 10+ assists this season. The Hornets remained a perfect 5-0 in the conference by overwhelming The First Academy with 37 shots on goal. Junior attackman, RJ Sanfilippo, filled the stat sheet – recording six goals and three assists. Sanfilippo’s 13 assist this season are second on the team, just three behind senior midfielder, Brett Heneghan. Despite TFA’s best efforts to faceguard him with a single defender, Jake Kiefer poured in five goals and added an assist to Sanfilippo. Kiefer now has a team-high 41 goals this season. The Hornets host the DeMatha High School Stags (Hyattsville, Maryland) on Friday night. The Stags improved their record to 7-2 overall with an 8-3 win over Lake Brantley on Wednesday. 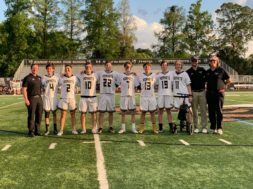 On Tuesday, April 2nd, the Hornets will host their final regular season conference game against Windermere Prep before traveling to Ponte Vedra High School on Friday, April 5th.